MOUNT GILEAD — “Feeding those in need one bag at a time,” is the Morrow County Food Pantry’s motto. At its Wednesday meeting, Morrow County Commissioners thanked County Food Pantry Board Members Brenda Harden and Russ Merrin, along with the county pantries that partner in giving to those in need. Harden said people come to the county food pantry at the Community Services Building in Mount Gilead for many reasons. Some have just lost their job, some have health problems and there are many other emergency situations that cause local families and individuals to have an immediate need for food. Harden said it requires three days after application until food stamp cards are approved. People in need can go to the food pantry and receive food for three meals for three days. Each family is allowed only one visit per month. Food items are provided to Morrow County residents who qualify based on the Emergency Food Assistance Program income eligibility guidelines. The Morrow County Food Pantry has served 250 families in 2016 and that number continues to grow. Shipman said the food pantry is able to refurbish their food supply from the Mid-Ohio Food Bank. They also receive donations of food from Kroger, Drug Mart, churches and individuals. The Morrow County Hospital and other groups have had major food drives in the past year. County Food Pantries that partner with Mid-Ohio Food Bank are: Trinity United Methodist Church Food Pantry and Meals, Edison Enterprise Baptist Pantry, No Limits Outreach Pantry/Safe Harbor in Edison, Cardington Food Pantry/First United Methodist Church, Morrow County Food Pantry, and Angel Food Pantry/Marengo United Methodist Church. The Morrow County Food Pantry is at Entrance C in the Morrow County Community Services Building, 619 West Marion Road in Mount Gilead. The Food Pantry welcomes donations of canned goods, mac and cheese, pasta, rice and other non-perishable food items. The Morrow County Food Pantry is open Monday and Thursday from 9 a.m. to noon. In the Morrow County Food Pantry are, from left, Pantry board members Brenda Harden and Teresa Shipman, Ellen Wilson who is Pantry Coordinator from Experience Works and volunteer Ashley Hudgel. 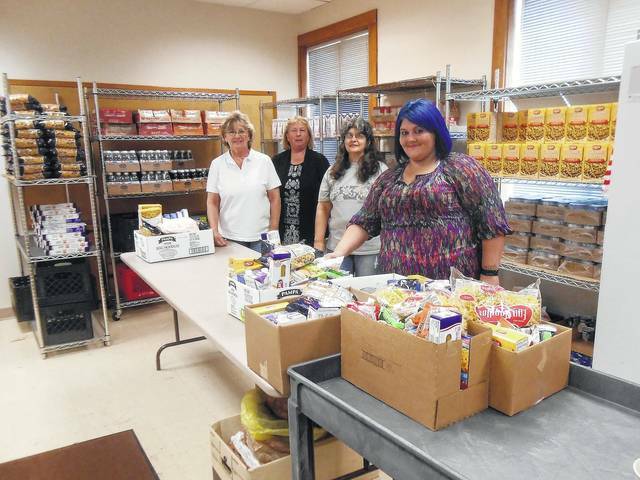 https://www.morrowcountysentinel.com/wp-content/uploads/sites/29/2017/08/web1_DSCN1944-2-.jpgIn the Morrow County Food Pantry are, from left, Pantry board members Brenda Harden and Teresa Shipman, Ellen Wilson who is Pantry Coordinator from Experience Works and volunteer Ashley Hudgel. 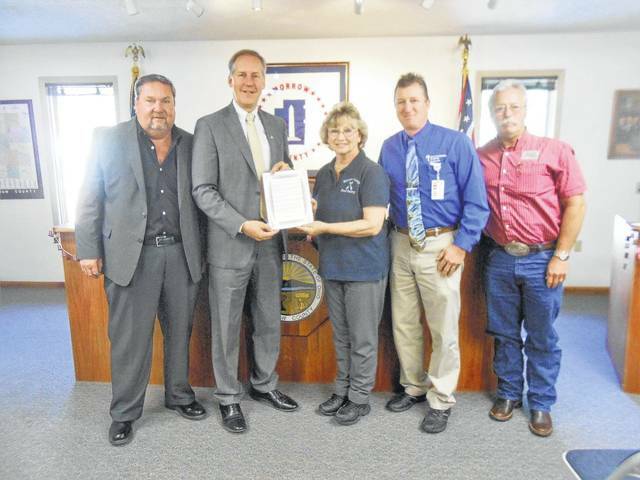 Morrow Çounty Commissioners proclaim Hunger Action Month. From left, Commissioners Burgess Castle and Tom Whiston, Pantry Bboard members Brenda Harden and Russ Merrin and Commissioner Warren Davis. https://www.morrowcountysentinel.com/wp-content/uploads/sites/29/2017/08/web1_DSCN1942-2-.jpgMorrow Çounty Commissioners proclaim Hunger Action Month. From left, Commissioners Burgess Castle and Tom Whiston, Pantry Bboard members Brenda Harden and Russ Merrin and Commissioner Warren Davis.